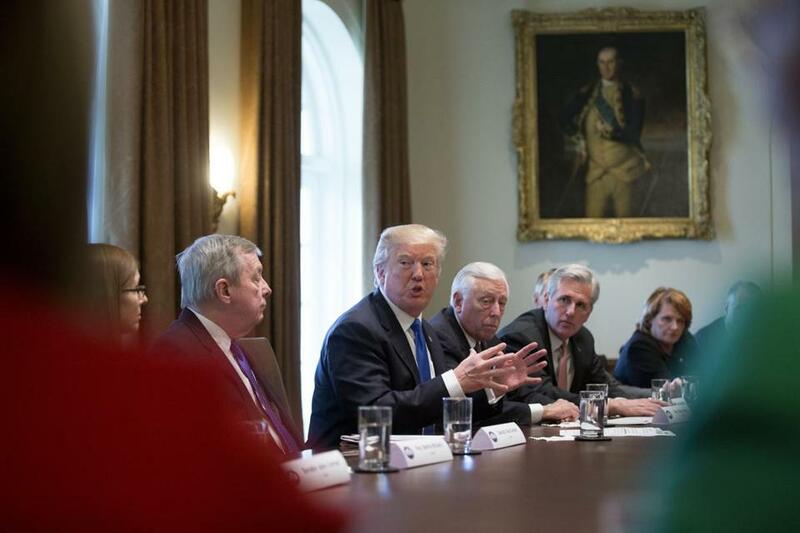 President Trump hosted a meeting on immigration on Tuesday. On Tuesday, Donald J. Trump played a completely unaccustomed role: that of president of the United States of America. Not a pugnacious partisan or a tinny demagogue, but, for the better part of an hour, a grown-up chief executive seemingly ready to rise above the political tumult in search of compromise. The setting was a bipartisan meeting of congressional leaders the White House convened to discuss DACA — Deferred Action for Childhood Arrivals — as well as other immigration issues. It was an extraordinary scene, watching Republican and Democratic lawmakers voice their concerns and make their points as the cameras rolled and rolled. But what was more extraordinary was witnessing Trump. Gone for the moment was the man who has spent months playing to bigotry, nativism, and xenophobia. He didn’t act erratically. He wasn’t obnoxious or antagonistic or boorish or bullying. Rather, Trump listened, responded to concerns, facilitated the discussion, and acted like someone genuinely interested in solving the problem of the 800,000 unauthorized immigrants who were brought to the country as young people and raised here, but will soon be at risk of deportation if Congress fails to pass protections for them. In a week when Washington has been roiled, and his administration rocked, by “Fire and Fury,” Michael Wolff’s new book detailing a chaotic, dysfunctional administration, the president helped himself considerably. It isn’t at all clear what will come of this bipartisan discussion. One reason: Until Tuesday, Trump had repeatedly said he wanted to pair DACA reform with funding for a border wall — the wall he once vowed Mexico would pay for — as well as the end of so-called chain migration and the diversity visa lottery. Are those still drop-dead demands for an agreement on DACA? 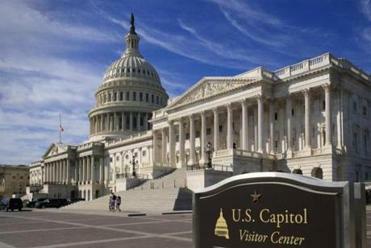 Lawmakers on Capitol Hill need to quit kicking the can down the road. On Tuesday, it didn’t sound that way. “My position is going to be what the people in this room come up with,” he said. “What I approve will be very much reliant on what people in this room come to me with.” That was a sentiment he repeated several times, saying he’d sign such a bill even he wasn’t in love with it. You can easily read that as Trump’s attempt to set Congress up as the fall guy here; if lawmakers can’t come to an agreement, he can then wash his hands of the failure. And indeed, having the responsibility essentially passed to them seemed to distress some of the Republicans in the room, who clearly wanted Trump to dictate some terms. That said, Trump talked like a man who wanted to get this done, going so far at one point as to suggest that Congress could tackle DACA first and then move on to other, more nettlesome issues. So why the change in tone? Perhaps it’s all just a skillful act. But here’s my guess: Trump was talking at close range with informed adults, and not pandering to his low-information nativist base or to the blowhards on Fox News. So adult parameters set the contours for, and constrained, the discussion. Further, Trump knew he badly needed to demonstrate some even-tempered leadership. It would be naive to think this signals that an old Trump can learn new tricks. Or that this marks a genuine pivot. Still, Trump is nothing if not politically heliotropic, which is to say, he covets praise and approval. He’ll get some for his Tuesday performance. And that creates the hope that every now and again, when deadlines press on problems that could otherwise blow up in his face, Trump may find the wherewithal to rise above his usual instincts.